For any corporate or marketing events, webcasts and webinars service is in great demand due to the convenience and usefulness in video and audio communicating to the invited clients or employees via the internet without any boundary restrictions. How the technology works are by broadcasting the video’s content using the internet which is accessed via a single URL on any device in real time. One thing to note that both live webcasts and webinars have the capability to offer gated entry, post-event registration, and data to analyze performance for marketing reasons. While there are similarities in terms of how webcasts and webinars service works, the difference is the technical aspects. 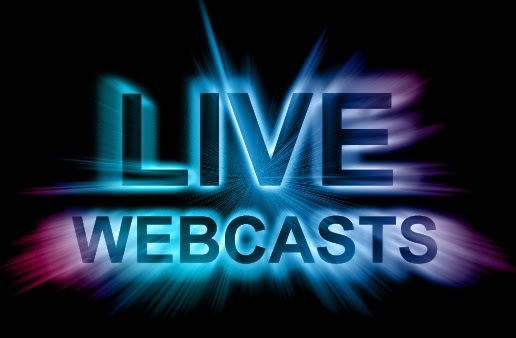 For example, a webcast is a presentation that is usually conducted between one to many people online, similar to a TV broadcast but is shown in live mode via internet streaming. Whereas live webinars are broadcast on a smaller scale and are much more interactive between the presenter and the audience. Common examples are online business seminars or video conference. Compared to webcasts, webinars have additional features like Q&A chat functions, whiteboards, and audience polls to facilitate better communication. To explain further, I have elaborate more in details on how the live webcasts and webinars work. Live webcast is a transfer of video and audio data which is broadcast over the internet to a large group of an audience on a global scale. The audience is on the receiving end to receive the video/audio information like video clips, presentation slides or audio stream from the host. In other words, live Webcasting is a high end, fully functional services that come with multi-camera broadcast technically designed for online training, better communicate methods and to broadcast important events live for the company or members of the community. Using live streaming in high definition mode in the internet, webcasting allows the presenter to share his/her ideas and concept via visual communication. While the participating members are only allowed to communicate with the presenter in the Q&A style, they can submit their queries via the chatroom while watching the webcast event. The live webinar is also known as web conferencing is an interactive seminar or meeting that is conducted via the internet. It allows multiple communication between different parties using their web-based phones or other equipment over different locations. Webinars are normally designed for the small-scale participation of individuals for online meetings or events. The agenda is usually product/service training or academic purpose that allows the presenter to share his/her knowledge using their display screen and showcase the information to the participants online. Other words, webinars are live events that are conducted with more features but lesser people involved.